Peru is part of the United Nations Committee on World Food Security (CFS) and as such has endorsed the VGGT on 11 May 2012. The CFS at its 38th (Special Session) on 11 May 2012, among other points: i) endorsed the VGGT; ii) noted that, according to their title the VGGT are voluntary and not legally binding; iii) and encouraged all stakeholders to promote, make use of and support the implementation of the VGGT when formulating relevant strategies, policies and programmes. (See FAO Council Report of the 38th (Special) Session of the Committee on World Food Security (11 May 2012), Rome, 11-15 June 2012). A study was conducted by Tierra on the applicability of the VGGT in Peru. 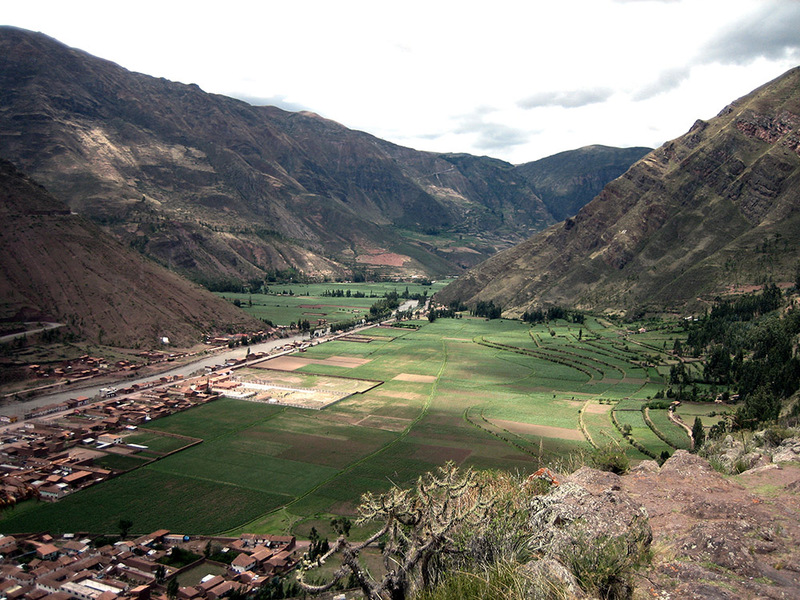 Watch a video on the VGGT and food security in Peru. In a historical context clearly marked by an agrarian structure based on large estates (haciendas) that was imposed on indigenous communities and small producers, the Agrarian Reform of 1969 succeeded in reverting the properties of large landowners (12 million hectares) and distributing them to around 600 cooperative farms (10 million hectares). However, 20 years later, within the neoliberal policies of the 1990s, the normative framework that allowed this important action was changed, eliminating the safeguards of agrarian property. The main tool for this was the Political Constitution of the State (1993), which guarantees the right of all persons (whether natural or legal) to access and preserve agrarian property, without any demands regarding the use of such property or the extension of land. The other instrument was Law 26.505 on the Promotion of Investment in Economic Activities in the Lands of National Territory and of Peasant and Native Communities, or Land Law (1995), which ruled out the limitations on the use and disposal of agricultural land, such as, for example, the principle that the land belongs to those who work it, the prohibition of latifundios, the need to eliminate minifundios, the concept of the social function of agrarian property, and the need to establish a size limit to large property. Thus, it allowed the free transfer and any modality of rights transfer over land; additionally, greater security was provided to large landowners. Gender and land: Browse the FAO gender and land rights database for more information on gender and land in Peru. The following transparency-related scores are listed for Peru in the Land Governance Assessment Framework carried out by the World Bank in 2013. Public consultations on urban land use planning: Good Practice. Public consultations on rural land use plans: Good Practice. Capture of surplus: Weak Practice. Swiftness in applying land use change: Very Good Practice. There is a clear process of property valuation: Very Weak Practice. Valuation rolls are publicly accessible: Very Weak Practice. Adequate compensation is paid to property right holders: Good Practice. Compensation is provided for the acquisition of all rights regardless of their recording status: Good Practice. Compensation is paid opportunely: Very Weak Practice. Adequate appeal mechanisms exist for the case of expropriation: Good Practice. Land use planning controls expansion in the biggest city: Very Weak Practice. Land use planning controls expansion in four big cities: Very Weak Practice. Ability to meet housing demand: Weak Practice. Compliance with minimum lot size: Good/Weak Practice. Designated uses are met (rural land): Very Weak Practice. Requirements for building licenses are realistic: Good Practice. Time for the granting of building licenses: Very Weak Practice. Transparency in transactions of State land: Very Weak Practice. Payment collection for State land: Very Good Practice. Market valuation of public land: Very Good Practice. Schedule of fees is available publicly: Very Good Practice. Informal payments discouraged: Very Good Practice. Read the full LGAF report and browse Transparency International data from the Global corruption barometer to find out more about corruption in the land sector in Peru. There are important issues for peasants and native communities, such as legal security (land title clearing) that the state does not consider to be relevant. There is no prioritization of programs for the formalization of property, despite the fact that for decades it has been a pending issue on the state agenda and that of peasant organizations. Much more critical is the situation of native communities, since their territories often overlap with mining, hydrocarbon and forestry concessions and, for that reason, their rights are not formally recognized. The causes of this are the lack of state will, the absence of a comprehensive cadaster system for rural property, and the existence of outdated regulatory frameworks. Law 26.505 on the Promotion of Investment in Economic Activities in the Lands of National Territory and of Peasant and Native Communities, or Land Law (1995), ruled out the limitations on the use and disposal of agricultural land, such as, for example, the principle that the land belongs to those who work it, the prohibition of latifundios, the need to eliminate minifundios, the concept of the social function of agrarian property, and the need to establish a size limit to large property. Thus, it allowed the free transfer and any modality of rights transfer over land; additionally, greater security was provided to large landowners. An important policy of recent years has been to enable unproductive lands (tierras eriazas) on the Peruvian coast, previously confiscated by the state (and sometimes affecting the rights of producers and communities) by allocating large state investments in irrigation megaprojects. These lands are then auctioned to the highest bidder and, therefore, end up in the hands of large companies and economic groups, without benefiting the peasant sector. These lands are being used for the production of crops such as sugar cane and African palm for the production of agro-fuels. In this context, where the concentration of land is no longer controlled—and in fact is promoted—the situation of relative equity in land tenure that had been achieved with the Agrarian Reform of 1969 has been reversed by land grabs. Currently, about 80% of agricultural units in Peru have less than 5 hectares and control 6% of the total national agricultural area. At the same time, agricultural units with more than 500 hectares are only 0.3 % of the total, but they amount to approximately 70% of the country's agricultural area. On the other hand, there are several mechanisms of land concentration in Peru: free market, state intervention in projects favorable to agribusiness, irrigation projects, extractive industries, control of water for irrigation. Peru has made a major leap toward export agriculture, hand in hand with land grabbing by large economic groups, and the state has played a fundamental role in supporting these corporations and companies through making the land tenure system more flexible, creating subsidies, lowering taxes and investing in state capital. In the last 25 years, the agricultural policies described above have led to the introduction and consolidation of an economic model linked to the primary export sector. This sector is associated with the export of non-traditional agricultural products such as asparagus, mangos, coffee, grapes, avocado, quinoa and a wide variety of additional crops, supported by processes of modern private investment and high innovation. The results are remarkable in terms of increasing the contribution of agriculture to GDP and national income; however, much of this economic growth is the result of increased land grabbing and marginalization of peasants and small producers. On the other hand, in addition to the undeniable state support for large-scale agricultural investment, there are about 54,000 concessions in Peru affecting various natural resources, mainly mining and hydrocarbons. These concessions overlap with the land rights of peasants and native communities. State support for agroindustry has its counterpart in state backing for private investments in the exploitation of these resources, without considering the needs of local populations. In a historical context clearly marked by an agrarian structure based on large estates (haciendas) that was imposed on indigenous communities and small producers, the Agrarian Reform of 1969 succeeded in reverting the properties of large landowners (12 million hectares) and distributing them to around 600 cooperative farms (10 million hectares). However, 20 years later, within the neoliberal policies of the 1990s, the normative framework that allowed this important action was changed, eliminating the safeguards of agrarian property. The main tool for this was the Political Constitution of the State (1993), which guarantees the right of all persons (whether natural or legal) to access and preserve agrarian property, without any demands regarding the use of such property or the extension of land. Del Castillo, Laureano. La legislación peruana y los derechos de pequeños agricultores y comunidades a la propiedad de las tierras. Movimiento Regional por la Tierra y el Territorio (MRxT) – Instituto para el Desarrollo Rural de Sudamérica (IPDRS), 2014 (digital). Libélula, comunicación, ambiente y desarrollo. Diagnóstico de la agricultura en el Perú. Perú Opportunity Fund. 2011 (digital).